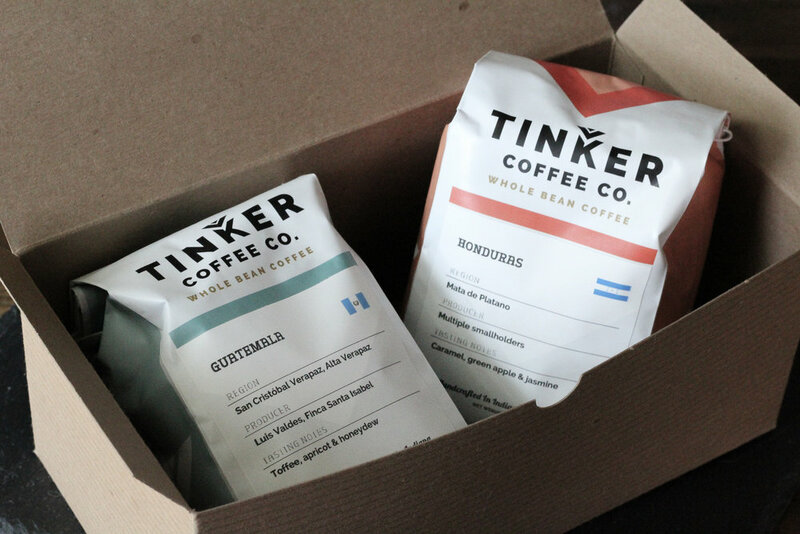 If you make coffee at home, Tinker Coffee Co. is the roaster of your dreams. Why? Because they’ll ship coffee straight to your house at the beginning of every month without you having to do a thing. Education : You get new coffees every month with a detailed sheet of their origins. For Tinker, it’s more than just roasting amazing coffee.They are passionate about sharing rich coffee education with everyone. Last name: education. First name: coffee. No More Bad Coffee : Chances are, you’ve had Tinker coffee before even if you don’t know it. Now is your chance to explore coffee from around the world. Choose from 2, 3, or 4 bags a month. And there’s no commitment, so you can switch it up or cancel at any time. Exclusive Coffees : See the Honduras in this month's box? Yeah, that's a special microlot, specially sourced for subscribers. That's right. Only subscribers get to these limited roasts. And they are crazy good. Save Some $$$ : First, Tinker takes care of shipping for you, so that's a win. Second, these special microlots sell for well over $20 elsewhere. It's a win-win-win-win-win. 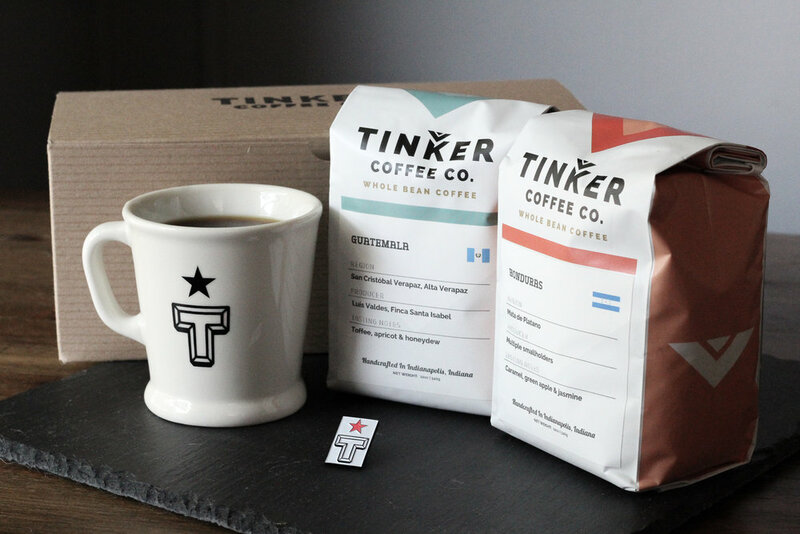 Surprises : The Tinker slogan should almost be “Coffee with a Sense of Humor.” In your subscription box, you’ll find little treats and trinkets from the guys. It’s like Jack in the Box but for tired adults. With Tinker's different subscription sizes, there's no reason to wait any longer to ✔ amp up your home coffee game, ✔ treat your parents, or ✔ outfit your office with some crazy good coffee. Get in before the next shipment: sign up online now and use the code EXTRACT for 25% off your first month. P.S. While this is not technically a sponsored post, it is brought to you in friendly partnership with the guys at Tinker Coffee because they are awesome, and I firmly believe in everything that they do. If you haven’t met Steve, Jeff, and Dylan, you’re missing out. Reach out to them on Facebook, Instagram, or Twitter and say hey. You can also find their coffee at many locations around Indianapolis, you know, if you’re into driving and not receiving fun packages in the mail every month.